Desi ghee which was always is always perceived as a fat-inducing element has come into the forefront of the contemporary food diet. Nutritionists & dieticians have listed ghee as a super food, which has made it a must ingredient in everyone’s diet. So why leave babies out? Ghee is one of those simplified fat foods that enhance calorie intake & keep babies energetic. Babies need at least 1500 calories per day for optimum growth and ghee will help you maintain that number. 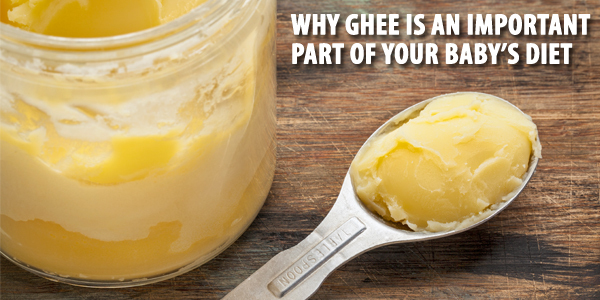 A fully saturated fatty acid, ghee is also easy to digest. High in Vitamins A D E & K, ghee is also integral for brain development.but of course, it’s advised that not more 2-3 tbsp should be fed to your baby. Excess of ghee can be harmful. Vitamin K which is high in calcium helps strengthen bones. The burning/smoking point of ghee is higher than other oils and doesn’t break into free radicals which can cause side effects. Great home remedy for dry cough. Slightly saute a few peppercorns in ghee and sieve and filter the peppercorns and feed your baby the peppercorn infused ghee. Ghee also is a great natural moisturizer for the body. In fact rub it over itchy skin or skin affected by eczema. 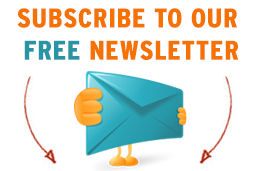 It reduces inflammation and acts as an antimicrobial agent and reduces the spread of eczema. Ghee can be included in your baby’s diet from 6 months of age. You can begin by adding a few drops in their lentils or khichdi. And as they grow, you can constantly increase the quantity, but yes don’t cross the 2-3 tbsp mark. Keep your baby happy & healthy with ghee.